Just a few miles from Nashville, GA, a long winding driveway will deliver you to the welcoming front steps of our handsome Lodge. If you arrive in the morning, the sun may be spilling over the wide front porch with its rockers inviting you to sit and relax. Already you feel at home. Walk through front doors and sense the warm and inviting surroundings. The decor and smell of wood evokes a timeless feeling. Your true Southern quail hunting experience is about to begin. Our classic plantation style hunting lodge boasts a great room as you enter with cozy, comfortable couches, overstuffed chairs, and a huge stone fireplace...just the place to linger after a long, adventurous day in the field. You notice the details...the books, the paintings and tapestry, the beautiful deer mounts, the trophies won by famous bird dogs...some of whose ancestors you may soon be wingshooting over. Stroll around. Behind the great room is a spacious screened in back porch with more comfy seating around another stone fireplace. What better way than sitting by a crackling fire for recounting the day’s great shots made and missed, to recall the great bird dog work witnessed throughout the day and the countless fast flying birds that took to the air. The coveys and singles the pointing dogs held, the lightning fast retrieves the English cockers made! You are immersed in a time gone by...and the tradition of Bobwhite quail hunting in southwest Georgia. There’s a full bar for you to enjoy an after-hunt cocktail or two. Behind that, the Trophy room is filled with portraits, photographs, silver cups, two Montreal Royal Trooper saddles won at the National Championship and other awards of distinction bestowed upon some of the great “Shadow”-prefixed Pointers and English Setters for their illustrious field trial championship wins. If you are familiar with and a fan of English Setters, you may recognize one of their names. His portrait graces the cover of the well-known magazine Garden & Gun lying on the coffee table! Find other little seating areas hidden away where you can tell tall tales, enjoy your favorite beverage while awaiting the scrumptious home-cooked Southern fried chicken or quail being prepared in the kitchen or the steaks, cooked to perfection on the grill. Our inviting and casual dining area allows for groups to be seated among themselves or together with new formed friends. The main Lodge features five well-appointed rustic bedrooms each with a bathroom to comfortably sleep up to ten guests. 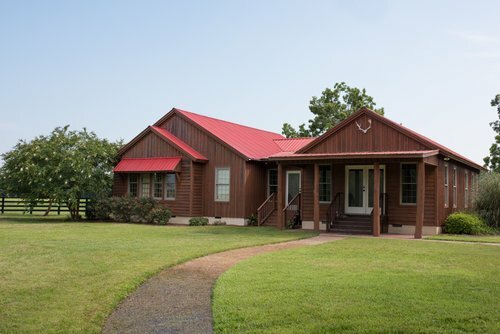 Behind the Lodge is our charming, smaller “Bunkhouse” which offers plenty of cozy seating, a game room, pool table, kitchenette and two additional bedrooms and bathrooms. It’s just perfect for a smaller group wanting their own private spot. Both the main Lodge and Bunkhouse have high-speed Internet and satellite television. Just a short ways from the Lodge, you’ll find our Wobble Trap Range where you can hone your clay shooting skills or just warm up prior to your Bobwhite Quail Hunt or Pheasant Tower Shoot. 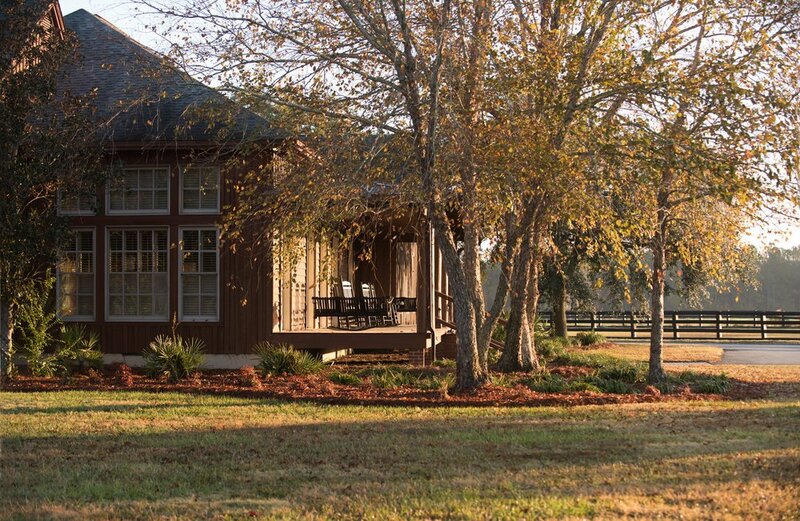 The entire facility, both lodges can be reserved for groups of eight or more shooters for a totally private quail hunt at Shadow Oak Plantation. Please contact for details and availability. Make your reservations soon for this wonderful opportunity for you and your friends or family as our quail hunting dates fill up quickly! For Non-Hunting guests who might like to take in the local sights and some shopping, we recommend a visit to Valdosta, a city of approximately 57,000, 28 miles south of Nashville. The following website have lots of information about Valdosta shopping, museum, galleries and eateries.